What is a madrone tree? Pacific madrone (Arbutus menziesii) is a dramatic, unique tree that provides beauty to the landscape all year long. Keep reading to learn what you need to know to grow madrone trees. Pacific madrone is native to the coastal ranges of the Pacific Northwest, from northern California to British Columbia, where winters are wet and mild and summers are cool and dry. It tolerates occasionally chilly weather, but isn’t highly frost-resistant. Pacific madrone is a versatile, relatively slow-growing tree that reaches heights of 50 to 100 feet or more in the wild, but usually tops out at only 20 to 50 feet in home gardens. You may also find it listed as bayberry or strawberry tree. Native Americans ate the rather bland, reddish-orange berries fresh. The berries also made good cider and were often dried and pounded into meal. Tea brewed from the leaves and bark was used medicinally. The tree also provided sustenance and protection for a variety of birds, and for other wildlife. Bees are attracted to the fragrant white flowers. 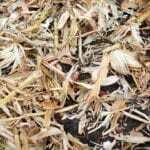 The interesting, peeling bark provides texture to the garden, although the bark and leaves can create litter that may require a bit of raking. If you want to grow madrone trees, consider planting in a natural or wild garden, as the tree may not fit in well to a perfectly manicured yard. A dry, somewhat neglected area is best. Madrone tree information tells us that Pacific madrone is notoriously difficult to transplant, probably because in its natural environment, the tree is dependent on certain fungi in the soil. If you have access to a mature tree, see if you can “borrow” a shovelful of the soil under the tree to mix into the soil where you plant the seedlings. Also, Oregon State University Extension advises gardeners to purchase seedlings with the north/south orientation marked on the tube so you can plant the tree facing its accustomed direction. Purchase the smallest seedlings you can find, as larger trees don’t appreciate having their roots disturbed. You can also plant seeds. Harvest ripe fruit in fall or early winter, then dry the seeds and store them until planting time in spring or autumn. For best results, chill the seeds for a month or two before planting. Plant the seeds in a container filled with a mix of clean sand, peat and gravel. Madrones prefer full sun and require excellent drainage. In the wild, Pacific madrone thrives in dry, rocky, inhospitable areas. Madrone trees don’t do well in a well-watered, manicured garden and they don’t appreciate being fussed over. Keep the soil slightly moist until the roots are established, and then leave the tree alone unless the weather is unseasonable hot and dry. In that case, an occasional watering is a good idea. Read more articles about Madrone.